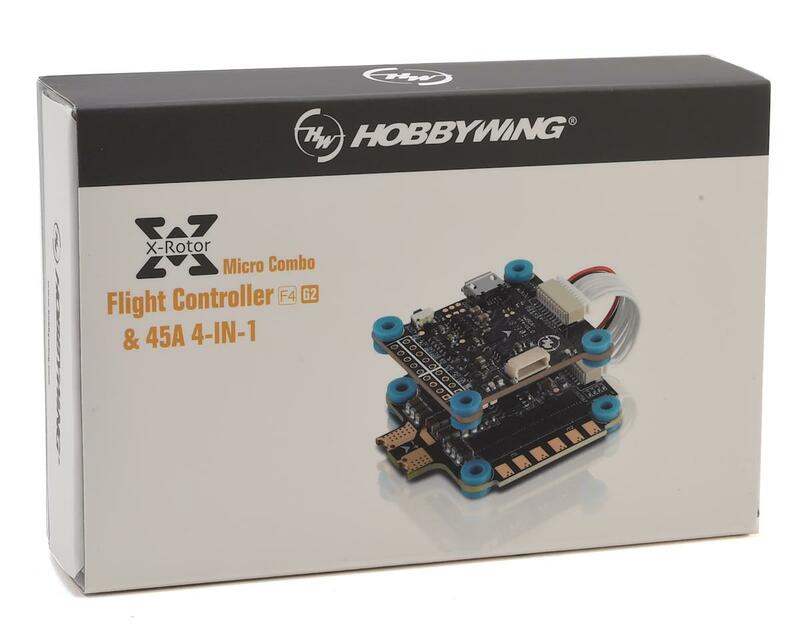 This is a Hobbywing Combo of the XRotor Micro 4-in-1 ESC (HWA30902090) and the Micro F4 G2 Flight Controller (HWA31003000). The Hobbywing 4-in-1 XRotor Micro 45A ESC is highly integrated with the latest features & hardware designs, as well as incredibly compact. Featuring 45A (x4) ESCs, BLHeli_32 DShot 1200 support, two built in BECs (5V & 10V), and a voltmeter module that allows the flight controller to monitor battery voltage & amperage in real time. 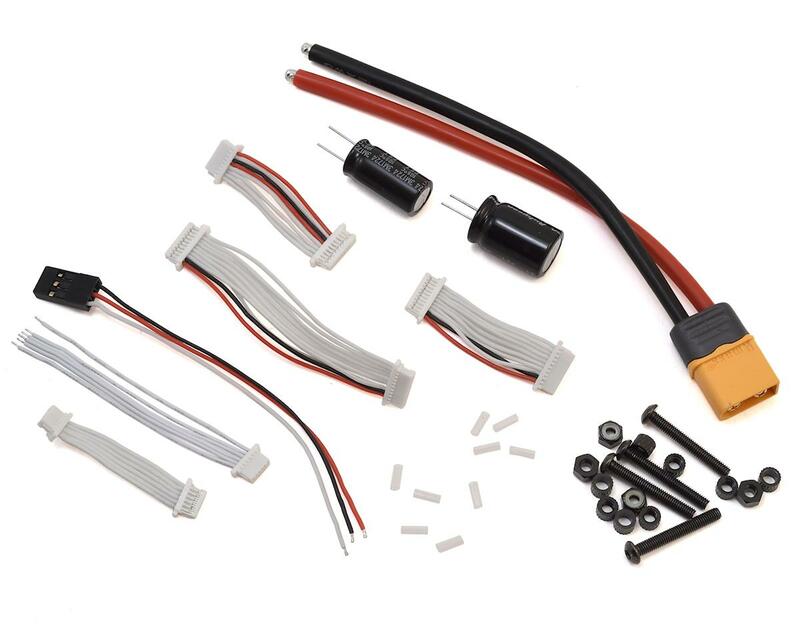 Innovative shock-absorbing structure allows the ESC to utilize rubber grommets for mounting, as well as connection via a soft silicone cable (best connectivity is in conjunction with the Micro F4 G2 Flight Controller). These small touches aid in reducing vibrations to the flight controller. 3rd Generation BLHeli_32 features incredible performance & rich functions that supports adjusting parameters or upgrading firmware via different methods. Supports up to DShot 1200. Powerful hardware for super fast operating speed! The XRotor Micro F4 G2 Flight Controller, w/OS. incorporates the STM32F405 MCU to provide powerful computing capacity and super operating speed! This power working in combination with the highly sensitive ICM20602 6-axis motion sensor, 32KHz PID controller and gyro equals incredible performance for FPV flight and racing. The built-in OSD chip allows users to easily set and adjust set OSD parameters via Betaflight/Cleanflight/Butterflight/invaflight software or transmitter while the internal TF-card expansion slot allows the use of an SD cars to record flight data. CRT port (extra current meter is needed).